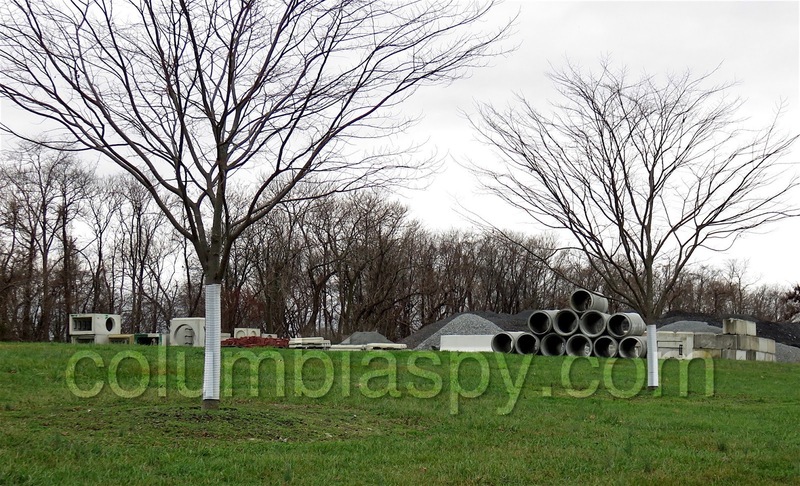 COLUMBIA SPY: Columbia Borough’s farm makes money! 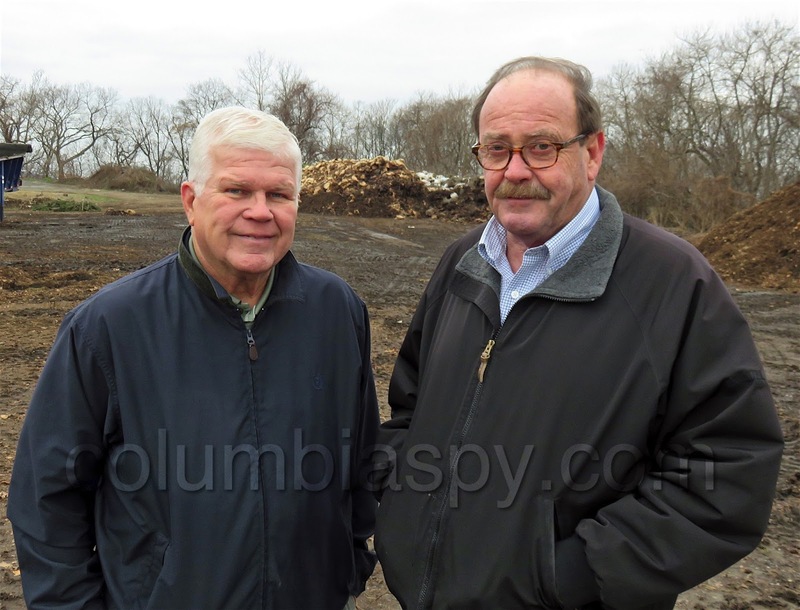 Columbia Borough’s farm makes money! The Columbia Borough farm makes money! No, not literally, but it does bring in much-needed revenue for the borough. Prior to leaving his council seat at the end of 2015, Jim Smith showed Columbia Spy how the borough does it. According to Miller, the farm was in disarray just a short time ago. “ It was a dump,” Miller said. He said it took a year to clean up piles of concrete and debris that had been dumped at the farm over many years. 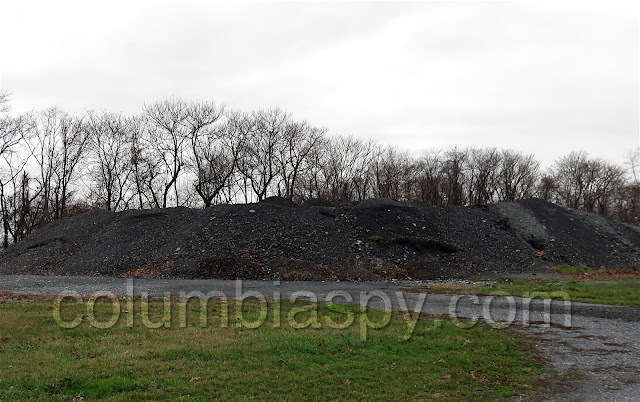 Miller credits Jake Graham of the highway department with grading the entire area, with the aid of local excavator Sam Logan, who provided a bulldozer to help complete the work. After this initial phase was finished, phase two was put into place: Miller applied for and obtained a permit to operate a yard waste facility. He also obtained a grant to purchase equipment required for the operation, thereby saving the borough thousands of dollars on the purchase. Currently, 12 municipalities dump yard waste at the farm, at a cost of $25 a ton. The material is then recycled and sold. (Used asphalt from from road milling is also taken to the farm, where it is processed for reuse in road paving.) 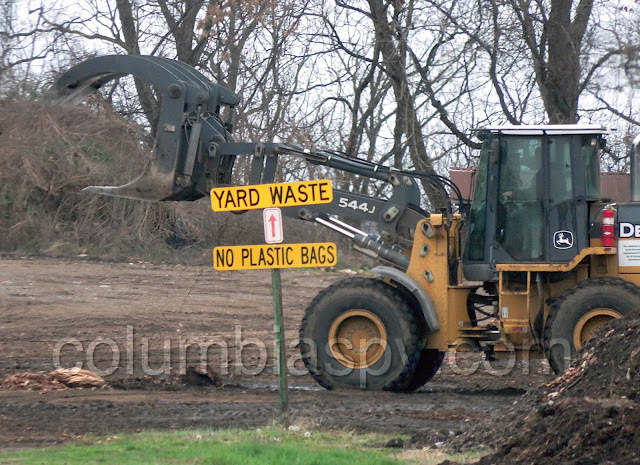 Miller projects that the operation could potentially bring in $100,000 this year for the borough, simply by turning what was once perceived as trash into welcome treasure. Former Columbia Borough Councilman Jim Smith and Public Works Director Ron Miller at the borough farm. 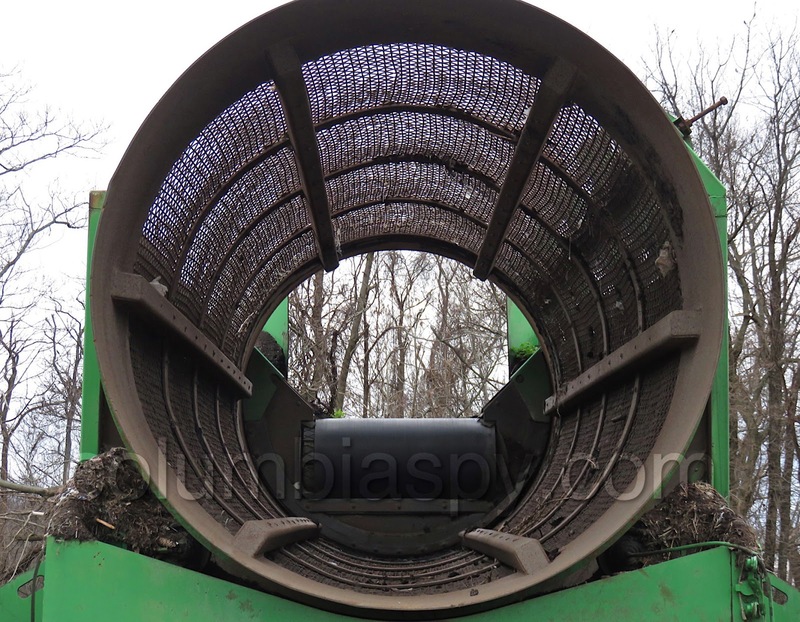 Used asphalt from road milling is taken to the farm, where it is processed for reuse as paving material. 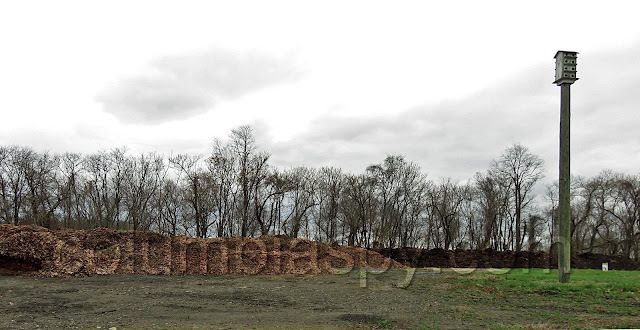 Piles of stone are also kept at the farm for use in road projects. 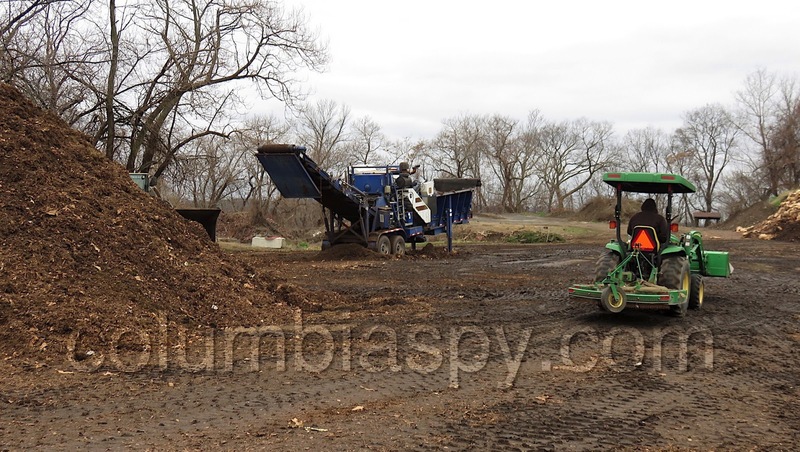 Workers handle yard waste at the farm. 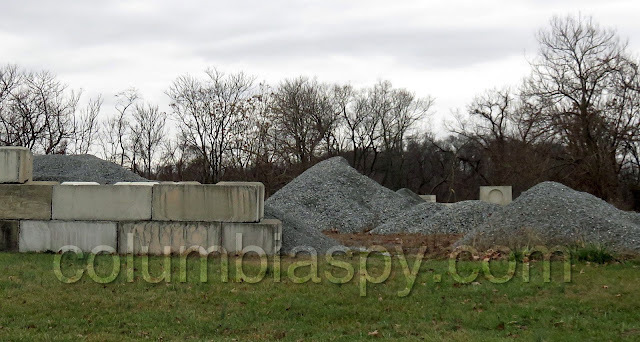 Materials for road construction are stored at the borough farm. The borough farm, high on a hill, overlooks other farmland in this pastoral area of Lancaster County. Crews are kept busy with the operation at the facility. Just one of the pieces of equipment used at the facility. Mulch piling up at the farm. $100K really? Where's that show as a revenue line item on the budget? 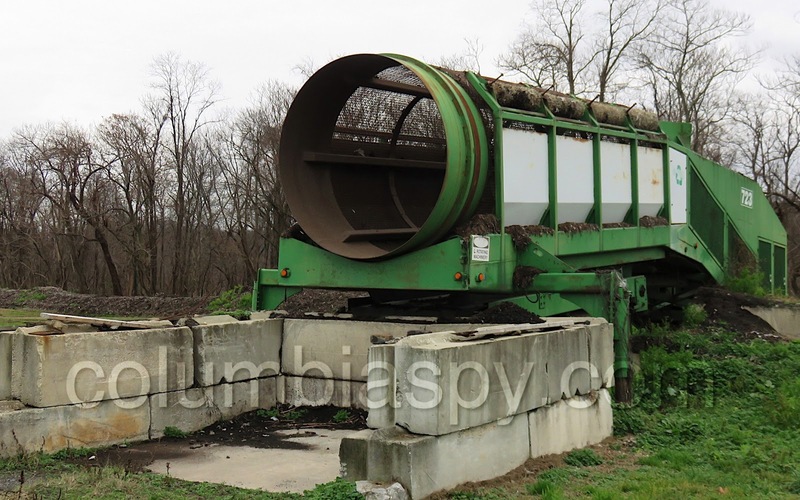 This operation was begun more than twelve years ago when the "one more piece of equipment", a trundle was purchased used from Lancaster County Solid Waste Management Authority. The operation has grown and been refined over these years thanks to the guidance of Ron Miller. You can't tell by the picture of Jim and Ron, but it was absolutely freezing that day, adding to that was a bitter wind. All things considered, Ron was gracious enough to provide information and a nice story came out of it. Doggone, that van is gone!